In an effort to satisfy the future water needs of its wholesale customers, the San Francisco Public Utilities Commission (SFPUC) commissioned a series of comprehensive assessments on the area’s future water demand, conservation potential, and recycled water potential. Based on these studies, the SFPUC projects that by 2030, the total water demand of its wholesale and retail customers will increase by 14%, or 33 million gallons per day (mgd). To meet this projected demand, the SFPUC proposes to divert an additional 25 mgd from the Tuolumne River. 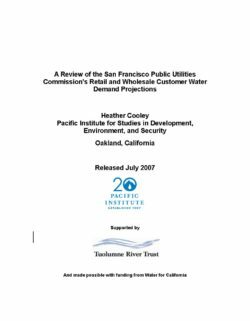 In response to the SFPUC’s proposal, the Tuolumne River Trust asked the Pacific Institute to independently review the SFPUC wholesale and retail customer demand projections along with the companion re-ports on water conservation and recycled water. Our analysis reveals that the SFPUC’s studies are inadequate. 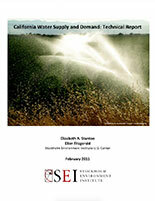 They may significantly overestimate future regional demand for water. Furthermore, they underestimate the potential for cost-effective demand management and recycled water. California is in the grip of a water crisis of our own making. Like all problems that humans create, we have the potential to use the crisis as an opportunity to make positive and long-lasting changes in water management. The crisis is not a water shortage – California has already developed sufficient water supplies to take us well into this century – the real crisis is that this supply is not used efficiently or equitably for all Californians, nor is it used wisely to sustain the ecosystems that support us. The opportunity – and the basis for our positive vision – is that economically and technologically feasible measures are readily available to provide the water needed for our future. 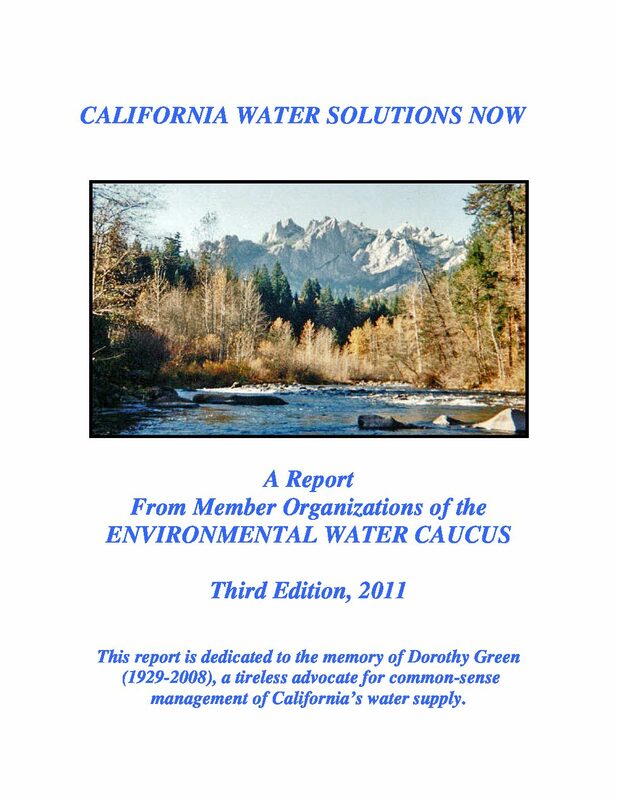 Our vision includes providing clean water for families to drink, providing water to improve the environmental health of our once-magnificent rivers, recovering our fisheries from the edges of extinction, fostering healthy commercial and recreational fisheries and a thriving agricultural industry, ensuring that all California communities have access to safe and affordable drinking water, and contributing significantly to the state’s largest industries: recreation and tourism. 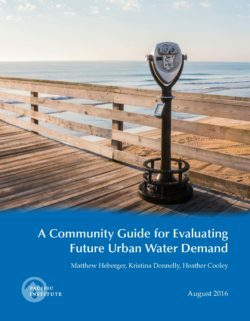 This report documents numerous analyses of water efficient technologies and approaches that can save or reduce water consumption in urban areas by as much as 5 million acre-feet a year by 2030 compared with current trends – enough water to support population growth of almost 30,000,000 people. 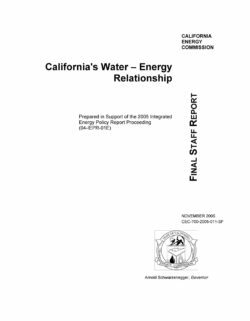 According to the California Water Plan Update 2009 and Department of Finance projections, the state’s population can be expected to increase by 22,000,000 over the next 40 years if current population trends hold. 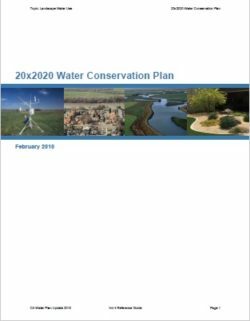 Clearly, a well-managed future water supply to take us to 2050 is within reach with the current supplies and with an aggressive water conservation program. 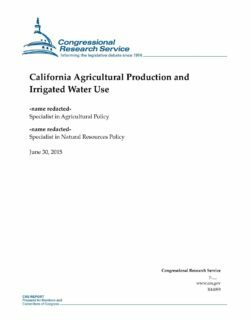 In addition, still larger savings can be expected from agricultural water efficiencies, and some of this saved water could be available for urban consumption. 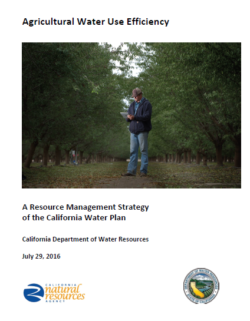 All of the water conservation strategies discussed in this report are much less expensive than the new surface storage and conveyance projects being contemplated by state and federal agencies. 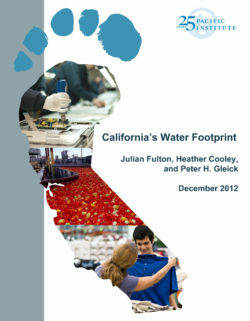 The California Water Supply and Demand Model (CWSD) examines the ways in which California’s water supply and demand are likely to be affected by climate change; its purpose is to serve as a base for quantifying these impacts in economic terms. 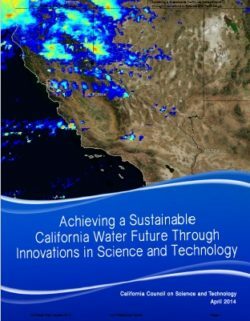 California’s water future is modeled under conditions of no adaptation to climate change, and under several projected water use adaptation scenarios taken from the literature; climate change adaptation scenarios include water used for energy, the urban or residential sector, and agriculture. The main CWSD compares key categories of water inputs and outputs on a month-by-month basis to capture seasonality in water availability. A supplementary model allows for the main model’s beginning surface reservoir storage to result from water supply and demand interactions over a stylized previous 100 years. Three areas of water use are both especially critical and vulnerable to climatic change: the energy, agriculture, and urban sectors. In the energy module, water demand is a based on different scenarios of coal, nuclear and renewable power use, conservation technology, state population trends, and projected temperatures. In the agriculture module, crop and animal water use by county is a function of projected summer temperatures by county. In the urban module, residential, industrial/commercial, and public water use are based on projected levels of socio-economic growth.